be. But being aware of a bias doesn't correct it, just as knowing that you are nearsighted doesn't help you to see better. 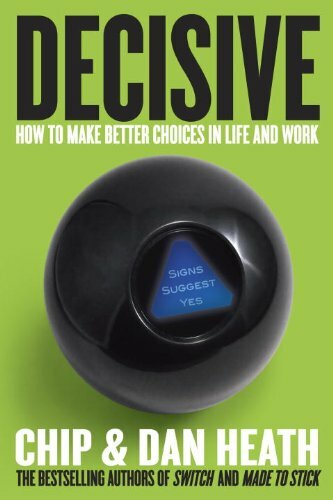 InDecisive, the Heath brothers, drawing on extensive studies, stories and research, offer specific, practical tools that can help us to think more clearly about our options, and get out of our heads, to improve our decision making, at work and at home.